The Passy Muir® Valve has helped patients of all ages with tracheostomy and mechanical ventilation improve their quality of life through improved speech, swallow, and more. Watch and see how the Passy Muir Valve is changing thousands of lives all over the world. Are you a Passy Muir patient? Do you have a story to tell or pictures to send? We’d love to hear from you. Please send us your stories and photos for possible inclusion in the Patients section of our website or to share in our newsletter. Thank you! Agnes is using the Valve in-line with the ventilator. 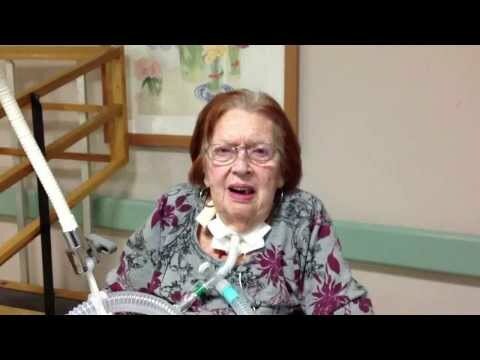 Meet Agnes as she discusses the impact of the Passy Muir Valve on her quality of life. 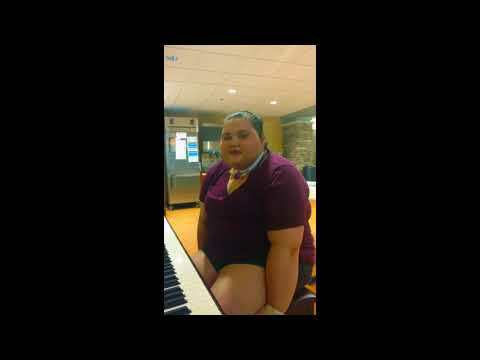 Althea, who had Guillain-Barré Syndrome, was filmed at Madonna Rehabilitation Hospital. 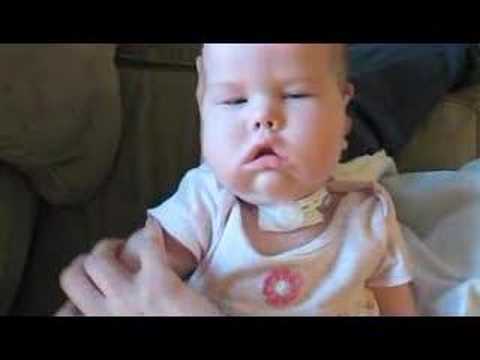 This video follows Althea from early stages with communication board use while on the ventilator through a capped tracheostomy tube. At the age of 22, Ariel found herself diagnosed with Guillain-Barré Syndrome, causing her to lose the ability to function in regular day-to-day activities including the ability to speak. In Ariel’s journey to recovery, Lake Taylor Transitional Care Hospital implemented the PMV 007® in-line with a ventilator as a form of therapy. With continued use of the Passy Muir Valve, Ariel was able to regain her ability to speak, eat, and stand. Watch the video to see Ariel’s progress. Butch is using the PMV 007 in-line with the ventilator and enjoying his lunch. 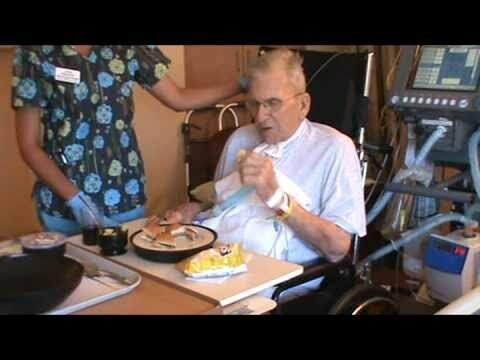 With his therapist standing by, Butch is able to eat a regular diet while on the ventilator. Watch this video to see the ease of eating with the PMV in-line. “Cooper and his triplet brothers were born 4 months prematurely, on June 5, 2007, at only 24 weeks gestation. Cooper weighed 1 lb., 6 oz. at birth, and spent the first six months of his life in the NICU. His biggest issue was tracheomalacia, and he came home with a trach. About 11 months after Cooper’s tracheostomy, the doctor gave us the thumbs up to try the Passy Muir Valve. Cooper took to the PMV almost instantly. I’ll never, ever forget the first time we heard him cry and babble. The PMV changed all of our lives. Three screaming babies is a beautiful sound! Now, not only was Cooper communicating with us, but with his brothers too. Cooper’s trach was removed in March 2009, and I’m very happy to report that today, Cooper’s speech delays are nothing substantial. This video features Erasmo, a patient at Madonna Rehabilitation Hospital in Lincoln, Nebraska, who had Guillain-Barré Syndrome. 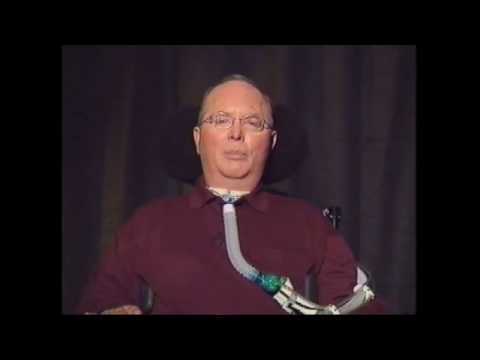 Watch this video to learn about his use of the Passy Muir Valve and therapeutic interventions on his road to recovery. In this video, David demonstrates the change that occurs when blowing a whistle with and without the Passy Muir Valve. David has a significant medical history, but exhibits independence with Valve use. In 1985, Patricia Passy met with David Muir to discuss David’s speaking valve and his desire to make it available for other tracheostomized and ventilator dependent patients. David knew first-hand the dramatic effect the Passy Muir® Valve has on one’s life after he was trached, placed on a ventilator, and unable to talk for four months. His personal experience fueled his passion and made him committed to reaching other tracheostomized and ventilator dependent patients with his valve. David desperately wanted to help others like him to avoid the frustration and isolation he had suffered. Patricia was impressed with David’s valve and inspired by his contagious spirit! Patricia learned quickly that David not only wanted to get his valve manufactured and marketed, he wanted to be a part of the process. Thus began their journey establishing the company, obtaining FDA clearance, applying for patents, working with engineers to develop the manufacturing process and developing clinical studies. David and Patricia advertised in national medical journals and attended national speech pathology, pulmonology, otolaryngology and respiratory meetings. David was quite the celebrity at these meetings and was always very busy at the exhibit booth discussing the advantages of the Passy Muir® Valves with physicians and clinicians. David loved being able to personally interact with the individuals prescribing and using his valve and David was admired and respected by the professionals and patients fortunate enough to meet him. 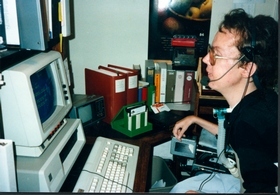 David took valve orders over the phone and did the invoicing with his voice-operated computer. He and his mother, June, also provided “clinical” information on his valve to patients, families and healthcare professionals. David passed away in August of 1990 and he is missed daily. Those of us who were fortunate enough to have known David can remember his powerful presence, gracious smile and lively humor. David’s spirit, intelligence, innovation, determination and commitment are a part of every Passy Muir® Valve product produced. We are always conscious of David’s mission in everything we do at Passy Muir. He is the reason we have the opportunity to give the gift of speech to patients and it is David’s vision of making his valve available to every patient with the potential to speak that drives our commitment and inspires our work. We are continually impressed by the patients’ and clinicians’ knowledge of David’s contribution and their loyalty to his mission and his valves. Read David’s full story here. 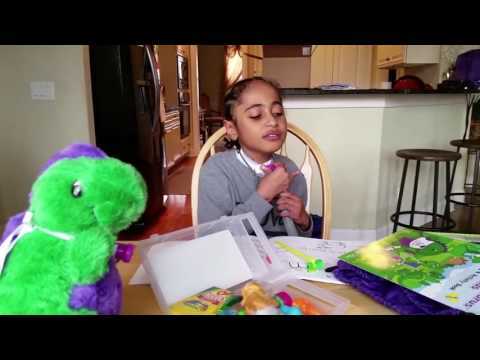 This video features Grady, a young patient at Nationwide Children’s Hospital in Columbus, Ohio. Grady was born prematurely with intraventricular hemorrhage and severe bronchopulmonary dysplasia. In this video, his mom and therapists share his history and successful use of the Passy Muir Valve both on and off the ventilator, despite high transtracheal pressures. Luis received a tracheostomy due to respiratory failure from COPD. He is currently weaned from mechanical ventilation and is receiving 40% fraction of inspired oxygen by a tracheostomy mask. Luis has a cuffless Shiley #6 tracheostomy tube, and without a Valve in place, airflow leaks out the trach tube, resulting in voicing sounds that are weak and breathy. Luis has to take a deep breath before each word in order to produce voicing. Once Luis places his PMV 2001, all expired air is redirected through the upper airway. You will notice that his voice is stronger and he has uninterrupted speech. 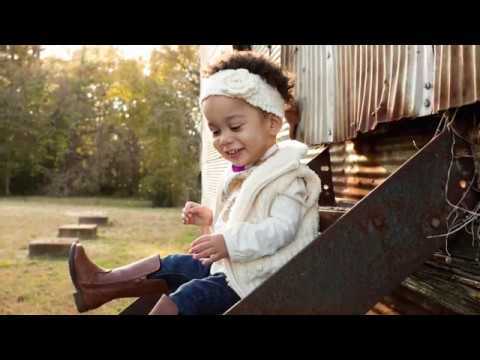 As an infant, Mabry had a tracheostomy tube and used a Passy Muir Valve. Her mom shares their experience and the impact of the Valve on Mabry’s development. Even though she no longer needs it, Mabry still keeps her Valve by her dresser. Watch this video and learn about her journey towards recovery. 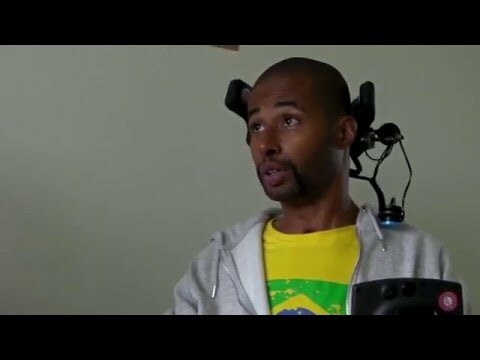 Roberto is a tetraplegic who was initially on a ventilator. In this video, he discusses his experience with the Passy Muir Valve while on the ventilator at Swiss Paraplegic Centre. He shares the hardship of losing his voice and then the joy of finding it again with the Passy Muir Valve. In light of his loss of movement, he explains the significance of having his voice. Watch this video for his story.